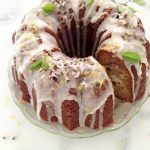 An easy, to die for banana bread cake filled with creamy Mascarpone cheese and covered in a silky lemon glaze! 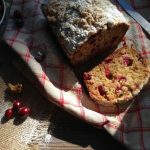 Ok, so Is it banana bread or cake ? What’s the difference? Well, it is a cake like banana bread technically. Like a bread but way better. Like the best banana bread cake I’ve ever made, because on top of the moist ricotta cheese dough, it also has little pockets of Mascarpone cheese all throughout. Killer! And just because it is the holiday season, I also whipped up a quick lemon glaze to pour over the top, and a dusting of powder sugar to make-believe it is the middle of winter in my kitchen. Because let’s get real, that is about the most wintry landscape you’ll find around Southern California this year. 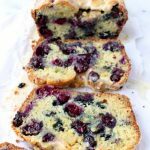 If you want to go crazy healthy with this ricotta olive oil banana bread cake thing, then skip the frosting/glaze. But really, as I said, it is the holidays and it’s all about that glaze, and the ricotta and mascarpone cheese! Live it up kids! This is so good you need to run to the store right now and buy mascarpone cheese because you probably don’t have any in the fridge. But you really don’t wanna leave it out, and so you gotta do what you gotta do to make it happen. 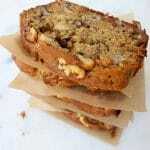 This is worth walking through a foot of snow uphill both ways, kind of banana bread cake! 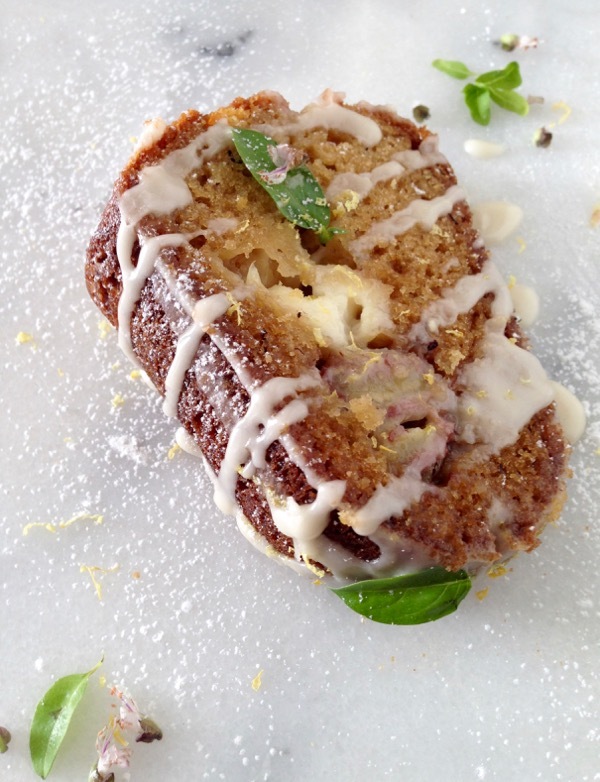 To die for Ricotta Olive Oil Banana Bread Cake with Mascarpone Filling and Lemon Glaze! In a bowl whisk together the olive oil, eggs, vanilla extract, granulated sugar and coconut sugar until incorporated and creamy. Stir in the ricotta cheese and fold in the sliced bananas. Set aside. In another mixing bowl combine the flour, sea salt, baking soda and baking powder until incorporated. Add the flour mixture to the wet ingredients and fold together gently. Do not overwork it. 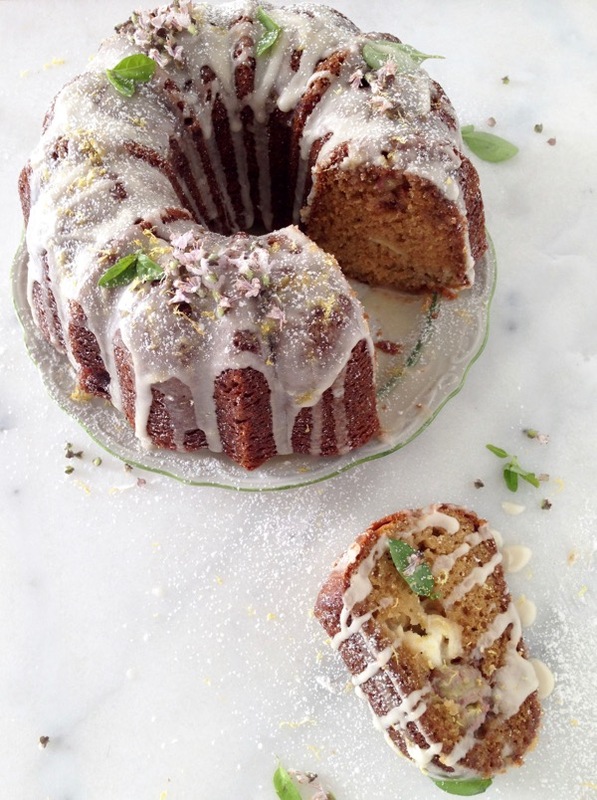 Use a drop of olive oil to coat the inside of a small 6 cup bundt cake pan. Pour half of the banana bread mixture in and using a small spoon, scoop the mascarpone cheese all over the top. Pour in the remaining of the banana bread mixture and transfer to the oven. Bake the banana bundt cake bread for about 35 minutes until a toothpick inserted in the center comes out clean. Check it at 30 minutes. Transfer the banana bread to a cooling rack and allow it to cool off completely. Gently turn it upside down for the bread to slide out. Once completely cooled off work on the lemon glaze. In a small bowl whisk together the powder sugar, lemon juice and held of the lemon zest until perfectly combined and smooth. 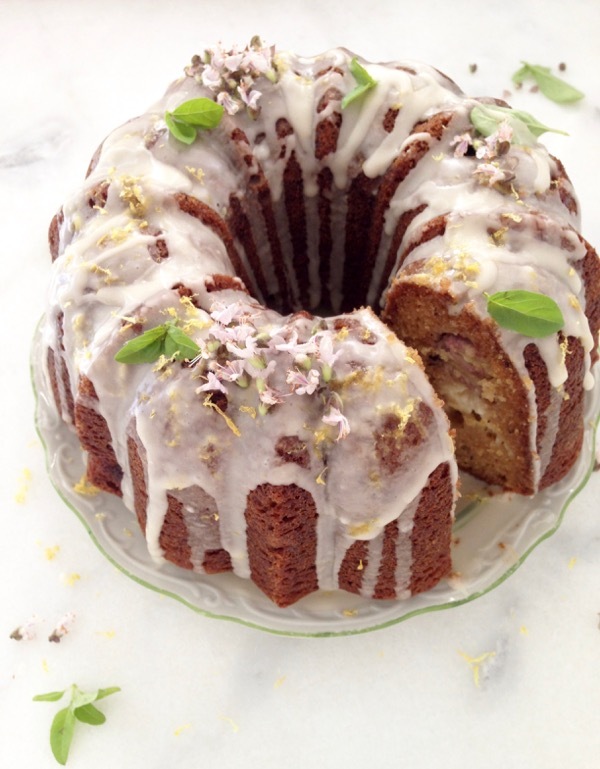 Pour the lemon glaze over the banana bundt cake bread and sprinkle over the top with the remaining lemon zest. 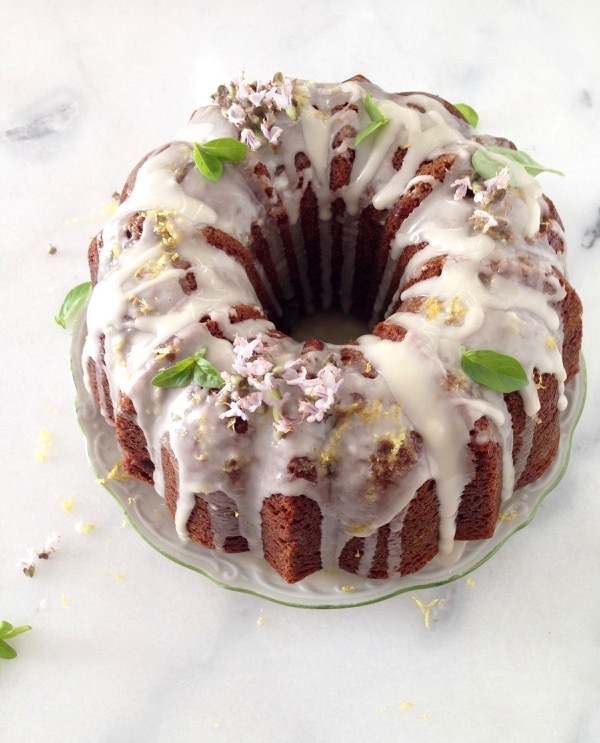 Garnish with the fresh basil and blossoms or edible flowers. 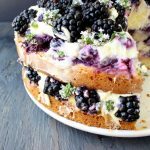 I don’t know what to be excited about first, the fact that you baked this cake with olive oil or the mascarpone cheese?! 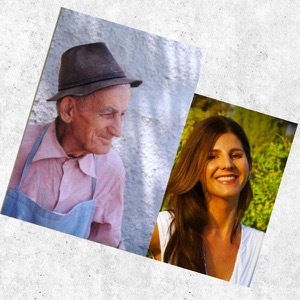 I am adding mascarpone cheese to my shopping list right now! ps. went to Italy this weekend and loved it sooooo much! We had the best time!! How fun Johlene, where did you go ? Ricotta and mascarpone in an olive oil banana bread, I think I’m in love 🙂 I’m with you mascarpone > cream cheese always!